Iceland has been on our radar for a couple of years but planning never really kicked off in any way, mainly due to us finding other priorities while comparing to some of our previous destinations. We’ll discuss in detail why, but things like trip costs and a “small” tourist season because of the harsh weather are the main reasons we kept postponing this trip. One thing is certain, we really wanted to go to Iceland to see all its raw natural beauty. Knowing a couple of people who visited Iceland before increased our curiosity over time and moving to London (and thus closer to Iceland) led us to finally deciding to go. Small disclaimer. This relates our experience while planning our first trip to Iceland for early September 2014. After our trip, we’ll be able to produce a much more accurate and proper guide to aid planning your own trip to Iceland. 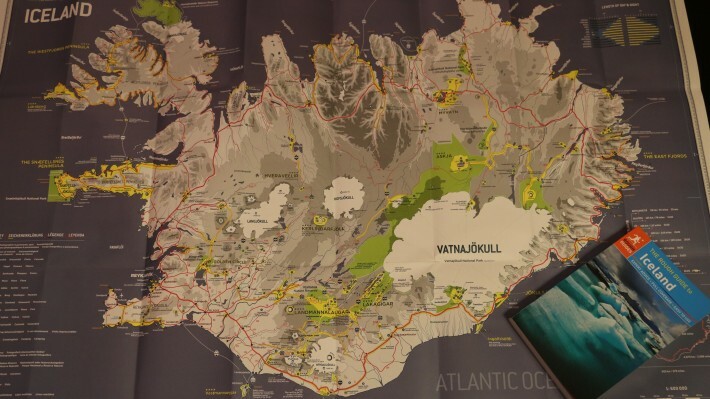 Well as you can see from the map below, Iceland is a relatively small island (group of islands, actually) that sits just below the Arctic circle, in the North Atlantic and Arctic oceans. Iceland is a European country although not part of the European Union and has a population of less than 350 thousand, most living in the capital and largest city Reykjavík. Iceland is very active, geologically speaking, with volcanoes of all sorts and a landscape consisting of mountains, glaciers, lava fields and deserts. Summing it up, Iceland is a natural wonder begging to be explored by nature and outdoor lovers – yes, you’re looking at us! 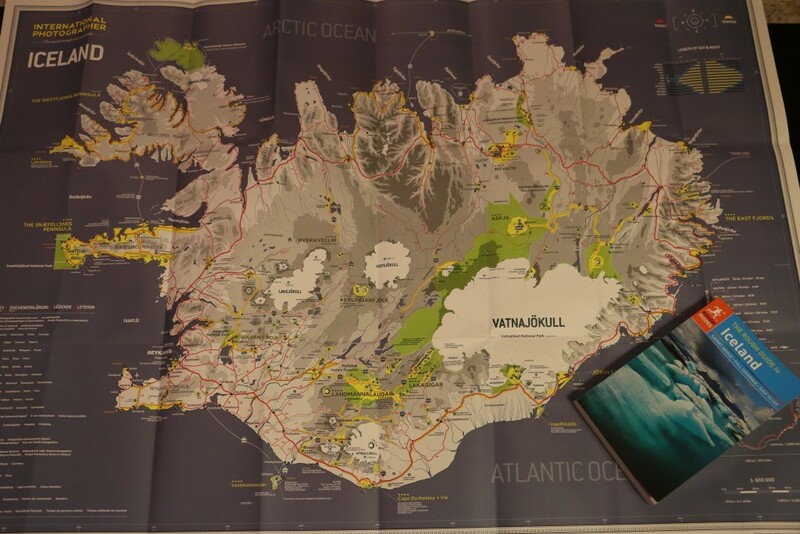 Read more to find out why Iceland and our travel plan! Got it? That was easy. Iceland has a very high WPC (waterfalls per capita – just made that up!) and the natural landscapes are just like that, making our decision a very simple one. We shall have a few (many) more examples in future posts about our trip. Iceland suits our preferred way of traveling – road trip. Why do we like it? Because it allows us to do things at our own pace and see what we like, including making random stops along the way and enjoy all nature has to offer. Iceland is suitable for road trips because of the remoteness of (most) its natural wonders spread across the country. The transport network is kinda limited, so you either take a tour company, buses that do some of the highlights or rent a car. Since we wanted to do a full Iceland trip a rental was really our only option, as most fellow Iceland travelers do. Renting a car is also slightly special as a four-wheel drive is required if you want to get out of the ring road (more on this road in the travel plans section) and venture into the highlands (inner parts of the country), where gravel roads are tougher and crossing rivers might be a possibility, or simply to be more comfortable while driving on the regular gravel roads. Iceland is not your average rent-a-car situation as prices quickly rise with any car type and even more for a four-wheel drive. Mixing this with a very small summer/high season and the budget can get a big dent. We chose September mainly because of this, since it’s the start of the low season and the weather tends to be just fine, for Iceland standards anyway, to allow us to travel around the country with minor road disruption. Activities like hiking, bird and whale watching, snorkeling, glacier walks or cave tours are a must. We knew from the beginning that we wanted to do a full ring road trip. As we went further with planning and after studying other similar length trips we ended up with this itinerary. It’s pretty much a ring road based one with some side trips that we added over time as our plan matured. 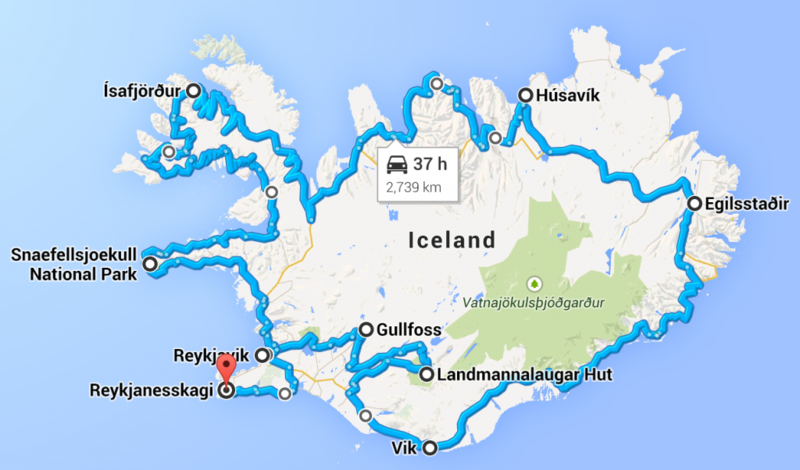 Besides the ring road, we’re going to some places such as Landmannalaugar, Heimaey, Húsavík, Westfjords, Snæfellsnes and Reykjanes. In order to achieve this itinerary, we relied significantly on the International Photographer map mentioned above. It’s indeed very good and really helped us with the planning as just looking at google maps and its directions was just not good enough to estimate the time of travel between places. This map features travel times and also all the really important and scenic highlights one must not miss while in Iceland. The guide book is also somewhat detailed and we plan to use it more on the road, particularly on the eve of each day. For lodging, we typically book through booking.com and Airbnb. This was no exception. One minor concern is that outside the main areas good (or just) lodging tends to be scarce and hard to find and the distance between small towns is considerable. Finding a good trade-off between distance to cover in a day and lodging is essential. As you’re probably aware there is some volcanic activity going on in Iceland at the moment and for a couple of weeks now. So far, this does not affect our travel plans. Fingers crossed it stays like this. Hope you enjoyed our first real post. Expect more from us soon!